Bethesda Softworks today announced at QuakeCon 2018 that DOOM Eternal is coming to Nintendo Switch. Unleash the overwhelming power of the DOOM Slayer. With updated armor and an arsenal of new and improved equipment, including a shoulder-mounted cannon with flamethrower, extendable blade, and a new dash ability, you’re faster and deadlier than ever. Destroy every demon in your path with an upgraded array of guns and mods, including the Super Shotgun’s new Meat Hook attachment to pull yourself point blank with the faces of hell. Obliterate more demons than ever before, each with their own attacks and abilities. Fan-favorite classics such as the Pain Elemental, Archvile, and Arachnotron make their return, while a horde of totally-new demons join the roster including the DOOM Hunter and corrupted Marauders. 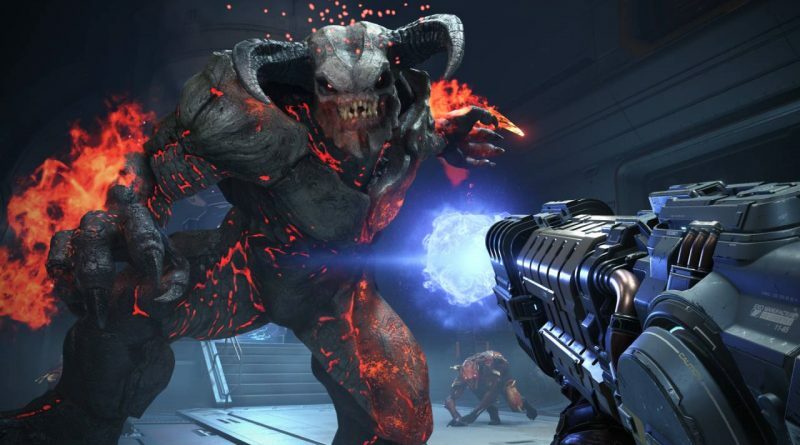 DOOM Eternal’s “destructible demons” system takes your power fantasy to new levels by ensuring that every trigger pull has never felt better. As the Slayer, allow real players to invade your campaign as demons for a dramatic and unpredictable twist anytime you’re playing the campaign. Or join the ranks of the damned yourself as you become a demon and invade a friend or other player’s campaign. Invade others either by yourself or with another player, as part of a hunting party, to give the Slayer a true taste of Hell. Rip and tear across epic, never-before-seen worlds. Witness the tumbling skyscrapers of Hell on Earth; battle through an invasion of the mammoth BFG 10,000 on Phobos; and discover the ancient secrets of the DOOM universe. With idTech7, every environment is brought to life in unprecedented detail.